House with 2 bedrooms and 1 bathroom. Kitchen and common room. House situated in the countryside, very quiet place. Tastefully decorated. Recent construction 2012. Discount for length of stay. Near Vila Nova de Cerveira 5 km (Land of Fine Arts - Biennial) and Valencia 8 km. Near the Rio Minho (1 km), allowing excellent walks. Hemos pasado unas vacaciones geniales, la casa es estupenda, tiene de todo, no le puedo poner ni una pega. 100% recomendable! 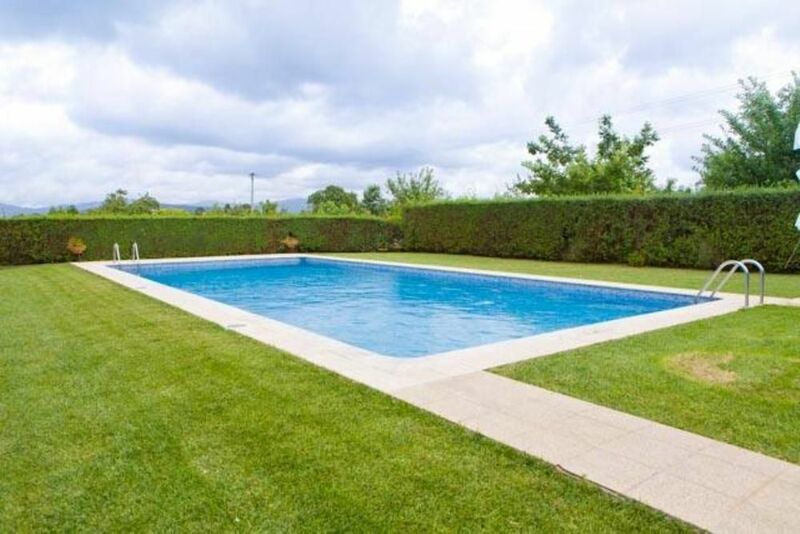 The house is about 40 Kms from Vigo airport and about 100kms from Porto airport (Francisco Sá Carneiro). From Vigo Airport should take the highway E-1 / AP-9. When crossing the border continue on the A3 motorway and take exit 14 to Interstate Highway 13, towards VN Cerveira / Viana Castle. Spend 3 roundabouts straight ahead. About 1km after the third roundabout, turn right on S. Street Sebastian towards Cork oak, going through a little cross located on your right, move on to a fork, turn right after 50 meters turn again to the right, about 500 meters the house suge the right side of yellow and stone walls. Recommended restaurant 5 km in the center of Vila Nova de Cerveira (House Swallows, Lau House). Weekly market held every Saturday in Vila Nova de Cerveira which hosts many tourists, considered one of the best fairs to national level. Slow river beach, watched, with beautiful green spaces for unique moments of rest. Preços decrescentes em função da duração da estadia. Preços dependentes do número de pessoas. Sinal/entrada ao reservar. As chaves são entregues pelo proprietário.